Having won 22 Olympic medals for swimming, Michael Phelps will now focus on his golf game. Firmly established as the most decorated swimmer in Olympic history, Michael Phelps will next travel the world working on his golf game. Phelps will star in season five of the Golf Channel's "The Haney Project," visiting the finest courses around the globe, fine tuning his swing under the tutelage of Hank Haney, who's coached the likes of Tiger Woods. “I have traveled the world through swimming, but really haven’t had an opportunity to experience the world through my travels,” said Phelps in a press release announcing the show. “As I enter this next chapter of my life, I think I will be able to shift my competitiveness to anything I put my mind to and golf is one of the things I want to focus on." Earlier this week, after winning his 22nd medal, Phelps confirmed for NBC's Bob Costas that he was done with competitive swimming, and had already set his sights on the fairway. "I've got golf... I am not a very good golfer...and if I have a goal [of improving my golf game], those things are going to keep me motivated, and fire me up, and excite me." 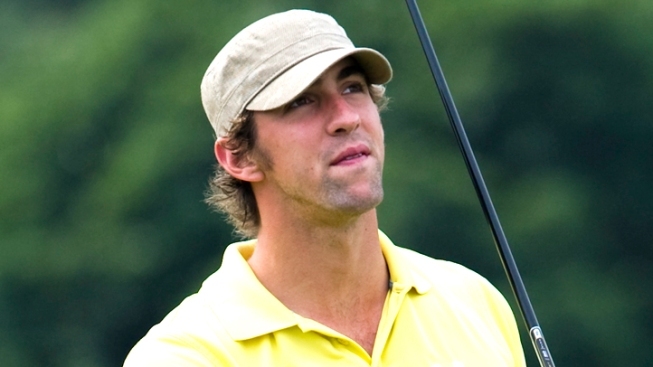 Phelps took up golf in 2008, at the suggestion of his management team, as a way to unwind after the stress of the Beijing Olympics, and was immediately hooked, according to The Baltimore Sun. As of 2010, Phelps' lowest round was a 91. He has been hosting the annual Michael Phelps Foundation Golf Classic since 2010 to raise money to promote the sport of swimming and healthy lifestyles. Previous students on "The Haney Project" have included Charles Barkley, Rush Limbaugh, Ray Ramona and Adam Levine of "The Voice" and Maroon 5.